The problem isn’t that you’re so vain. The problem is that you are using common sense. One would assume that the website developed for you, your business, brand, product, or service would be about those things. But it’s not at all. Your website is actually about your audience and what’s of value to them. It just so happens some of the things they find valuable may be about you, but this isn’t always the case. Most of the you-centric stuff companies and individuals want to ply their websites with don’t actually do anything to satisfy their audience’s wants, needs, or curiosity. Even those of you reading this while nodding along and maybe even yawning and muttering about “preaching to the choir” are getting it wrong. It’s incredibly hard to extract your self-focus from your website and other marketing content because we’re all about ourselves too. Unless you’ve had some critical outsider eyeballs on your site (and you took their advice), there is almost certainly all sorts of stuff on your site that’s too much you and not enough them. And yes, I’m guilty too. Once upon a time, it wasn’t all about them. When brands first began to be a thing, any brand communication was simple, direct, and focused on the brand. Advertising grew up with these early brands, and the advertising was almost always based on being the best. Over time, consumerism shifted. People are less concerned with keeping up with (or at least impressing) the Joneses. Instead, there’s a greater focus on what a product or service will do for the consumer. Savvy advertisers and marketers have caught on to this, and instead of hammering away about being number one or the favorite of this demographic or another, they are creating messaging that’s designed to connect and resonate with their ideal target customer. All of your marketing messaging, including your website, needs to attract your target personas, connect with them, and inspire them to action. This is the case regardless of what your company, brand, or product is—even personal brands (life coaches, business consultants, authors, etc.) need to make their messaging all about their target consumers. All of your marketing, advertising, and brand communications should be tailored to your ideal customer personas. Literally all of it. Yes, the messaging, language, and text used should be targeted, but that’s just the start. Graphics, photography, logos, design, and layout—the works!—should be designed to resonate with your target personas. Can I talk about me? Of course, you can talk about you, your business, brand, product, or service, but here’s the rub: you should only talk about you in light of what is relevant to your current and prospective customers. The things that are relevant give them value. Think of information they are seeking (hours of operation, pricing, product specs), what they care about (sustainability statements, new locations that may be nearer to them), and what will benefit them (special offers, tips on how to better use your product). And regardless of how relevant the information is, be brief with it! They don’t really want to hear that much about you. Your site’s navigation needs to be user-friendly so folks can find what they are looking for on your website as quickly as easily as possible. Additionally, you want to lead off with what will be most commonly searched for and viewed. If you have found that no one reads your “About” page, maybe it doesn’t deserve top billing on your navigation, for example. But if people flock to your “Sustainability” page (or try to), it should be on the marquee, not buried four click-throughs deep. Include only what is relevant and useful on the bio or about page. And this is often not information about your audience. Here, you have an opportunity to make a connection, prove value, and maybe even impress a bit. What normally would be irrelevant could be relevant here, depending on your business, your personas, and what tidbit of information you want to include. For instance, mentioning you knit may be ludicrous if your target consumers are all business, but if they value leisure time and handmade goods, this is a piece of information that will make them like you more. Not enough people have a Frequently Asked Questions area, but they should. That kind of high value content allows customers and prospects get burning questions answered quickly and easily. But having these up just isn’t enough. Too many FAQs address the wrong questions. Instead of going after questions people actually frequently ask, these usually focus on softballs (easy, common-sense stuff that was easy to include), questions someone just assumed folks would ask, or a limited list of really random queries that were received in the past. Some don’t see this as a problem. If someone doesn’t get an answer in the FAQ, they have to email or call—and then you capture their information! Yes, you want the information, but this isn’t the way to do it, especially as many people would much rather give up than bother to call you. Ugh! I could go on about the blog all day. Your blog needs to offer high value content readers will actually care about. It needs to be relevant to them, their situation, and your business. So stop with promotion, repeating the same topic over and over, and culling easy-peasy posts from content you find on the front page of Google. Instead, offer them high value content that moves them into your sales funnel. Planned and plotted content offers help both you and them. Blog posts that move them toward a content offer in the call-to-action will capture their lead information if successful. That’s great for you, but it’s even better for them—regardless of whether or not they work with you or buy your stuff, they’ve gotten further valuable information that they already were looking for. Yes, everywhere. If you want to make your sight tight and properly consumer-focused, bust out the magnifying glass! Look at every element of your website and ask yourself, “is this about me or them?” If you even think that your answer is “me,” then it’s time to make some changes. 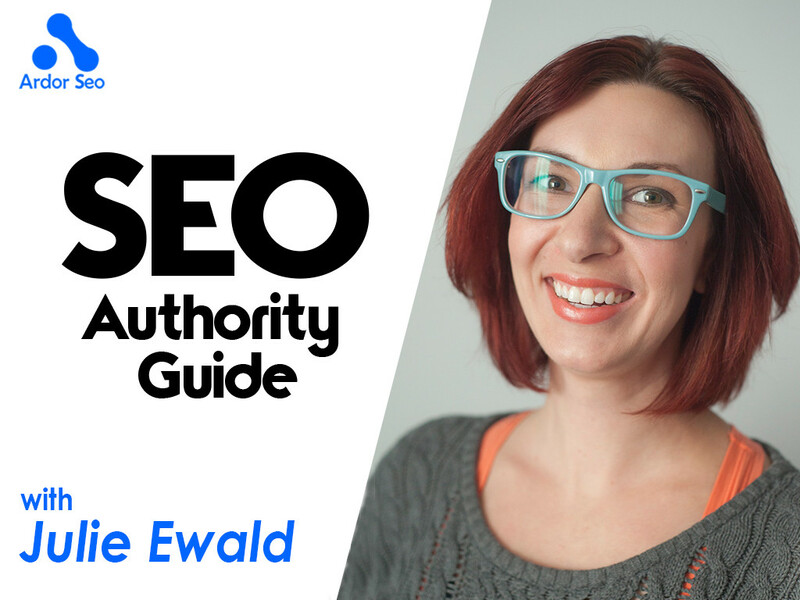 Julie Ewald is the CEO and Creative Director for Impressa Solutions, an inbound marketing agency specializing in content strategy and development. She founded the Las Vegas-based all-remote agency in 2012, and the team has subsequently carved out niches in tech, e-commerce, and personal branding spaces. 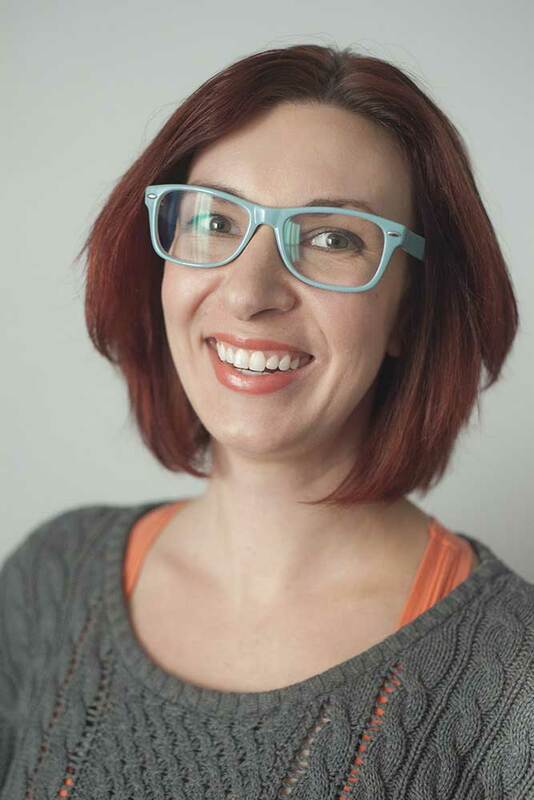 Julie speaks and mentors on content strategy or on entrepreneurship, freelancing, and being a digital nomad—previous and upcoming engagements have included SXSW, SXSWV2V, PubCon, Workhacker, and University of Nevada, Las Vegas. You can find Julie at http://julieewald.com or follow her on Twitte﻿﻿﻿﻿r.